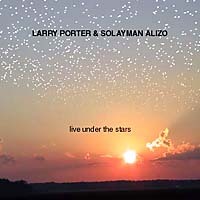 It was a warm summer's night in Berlin, and a large crowd turned up at the garden of the popular venue, Pfefferberg, to hear the music of Larry Porter and Solayman Alizo. 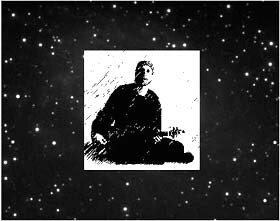 The setting under a starry sky was perfect, and the musicians responded with an offering full of verve and spontaneity. SOLAYMAN ALIZO was born in Kabul, Afghanistan and came to Germany at the age of 10. 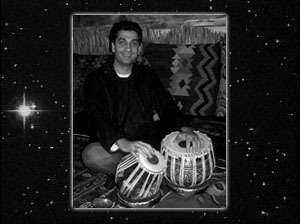 He studied tabla with the Indian master, Sankha Chatterjee, and soon established himself as the best accompanist in the Afghan community in Berlin. 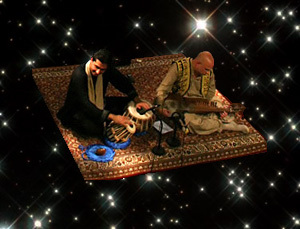 He has played and recorded with singers, Ahmad Wali, Harun Lamha, and Hafiz Ali.